Investigators searching for wreckage from EgyptAir Flight MS804 may face similar problems to those seeking the missing Malaysia Airlines jet — including tough terrain on the ocean floor and deep, heavy seas, experts said Friday. Floating debris and personal belongings have been found in the Mediterranean Sea, Egypt's military said, but the hunt continues for the rest of the doomed plane including "black boxes" that could yield vital clues. Key parts of the Airbus A320 have likely sunk to the seabed and could be hidden by ridges and underwater volcanoes as high as the Alps, according to Simon Boxall from Britain's National Oceanography Centre in Southampton, England. "This is still a very inaccessible part of the planet," Boxall told NBC News, adding: "Oceans are very good at keeping their secrets." While the Mediterranean is usually associated with sunshine and balmy waters, the sea where the jet is thought to have crashed — about 180 miles north of Alexandria, Egypt — is deep and often choppy. "The depth in that area is in the region of 1.8 miles, which is significant and not much shallower than the area in the Indian Ocean where they are looking for [missing Malaysia Airlines flight] MH370," Boxall said. "We are not talking shallow waters … this is well below what divers could reach." 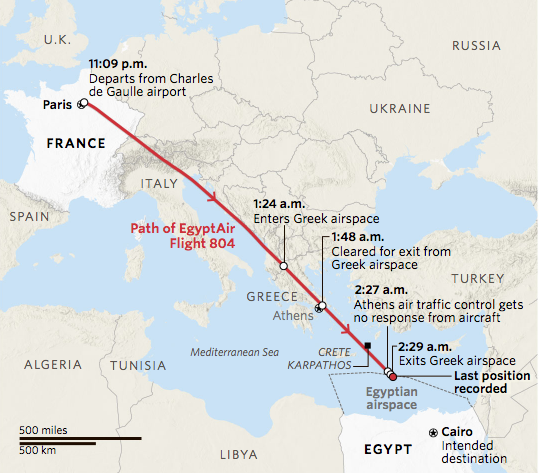 Flight MS804, which was traveling from Paris to Cairo, disappeared from radar screens early Thursday with 66 people on board. Officials say it descended rapidly from cruising height, making a sharp left turn followed by a 360-degree turn to the right. EgyptAir MS804 wreckage may be on one of the deepest parts of the Mediterranean. "Any substantial parts will likely by now be on the seabed which in this area is quite rocky with mountains and lots of ridges," Boxall said. "It is not a simple area in which to search and recover things from the seabed. The assumption is that the Med is sunny and calm but I've worked in that area and when it gets rough, it gets very rough." The faster debris can be recovered from the water, the more experts will be able to discover about what happened to the plane, former NTSB air accident investigator Greg Feith told NBC's TODAY. "As long as it doesn't get washed ... as long as the exposed parts aren't continually being washed either by wave or tidal action or any kind of grit or sand on the bottom, there should be [explosive] residue ... that forensic folks can actually determine whether or not there was an explosion or ... some sort of deformation due to overload or some sort of breakup of the aircraft." The difficulty of the task will also be determined by the speed and angle at which the jet entered the water. "If the aircraft hit the sea directly then it will have broken up under the sheer force of impact, but if it was a low angle of approach there could be large sections relatively intact," U.K.-based consultant marine archaeologist Tim Akers said. "Natural buoyancy could keep some of those parts afloat for a good few days." The Sentinel-1A radar satellite detected a slick in the eastern Mediterranean Sea – in the same area that EgyptAir flight MS804 disappeared early morning of 19 May 2016 on its way from Paris to Cairo. Sentinel-1A acquired this image later in the day at 16:00 GMT (18:00 CEST) in ‘extra-wide swath mode’ of 400 km with horizontal polarisation. ESA provided it to the relevant authorities to support the search operations. 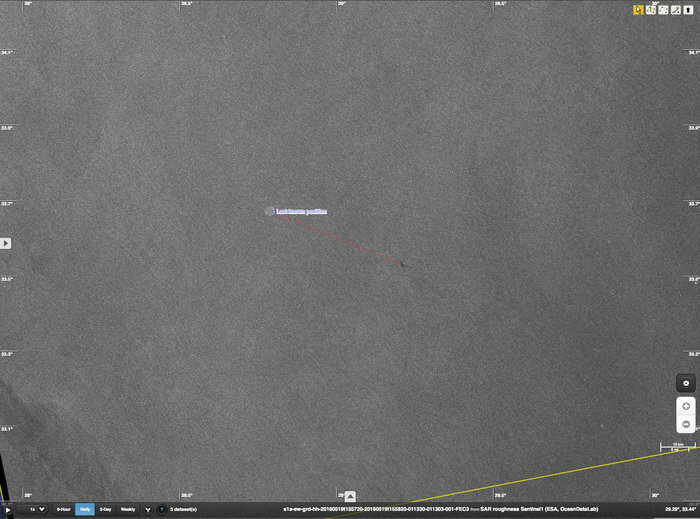 The 2 km-long slick is located at 33°32' N / 29°13' E – about 40 km southeast of the last known location of the aircraft. Although there is no guarantee that the slick is from the missing airplane, this information could be helpful for the search. Despite the difficulties, the search for MS804 has several advantages compared to the fruitless two-year hunt for MH370. 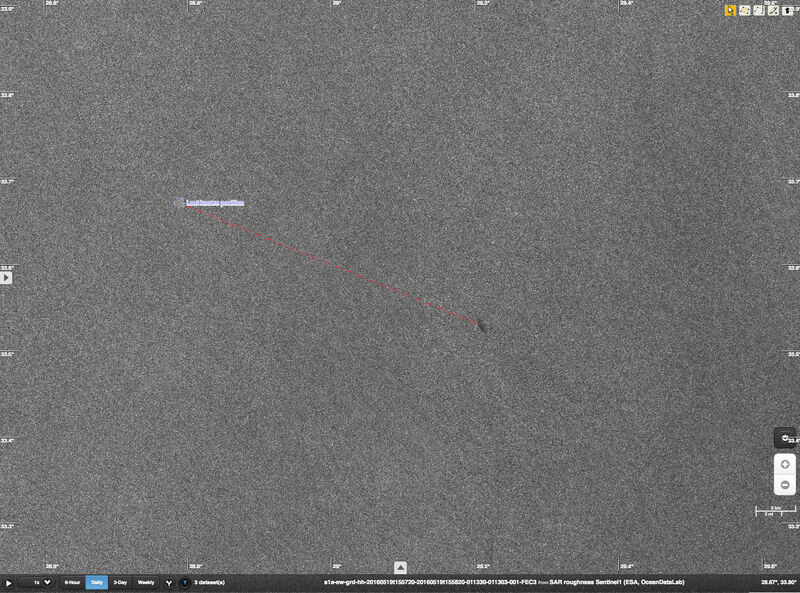 Authorities quickly had clear picture of where there plane was last seen, compared to the case of MH370 in which it took days to piece together clues from satellite data. "The search is much more limited — a small fraction of the area being covered in the Indian Ocean," Boxall said. "Not only that, but it is in a busy shipping area and is within the flying range of helicopters. The MH370 search area was three days away from the nearest ship and search planes had to turn back for fuel after only a couple of hours." 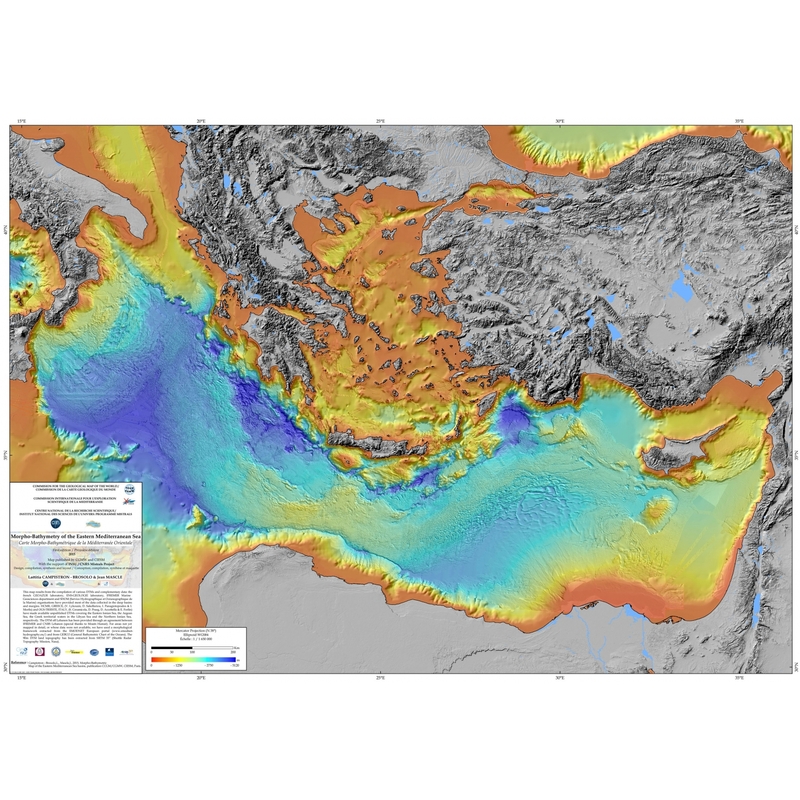 The Mediterranean Sea is also heavily mapped — in contrast to the uncharted southern Indian Ocean where MH370 searchers had to spend weeks building up a profile of underwater mountains and other potential hazards before sonar searching could begin. The speedier search also increases the chances that experts can identify the battery-powered "ping" signal from the aircraft's bright orange cockpit voice recorder and flight data recorder. "The black boxes will still be 'pinging' if they haven't been damaged and it should still be a clear signal," Boxall said. "It would seem to be a case of 'when' the wreckage is found, rather than 'if.'" “Make sure you hold onto something,” I say with mock seriousness to Elena as she takes her seat at the bow. “If we run aground, we could fly into the water.” She’s not a sailor — and frankly, I’m not much of one either — but she knows I’m kidding. We’ve both volunteered for lookout duty on our just-rented catamaran. We’re supposed to point out any hazards to the skipper. The author’s father, left, and brother sail across the Sea of Abaco. As we exit Marsh Harbour on Great Abaco Island in the Bahamas, I blithely take in the colorful scenery — until I catch an extremely clear (and perilously close) glimpse of the harbor floor. I advise Elena to follow me farther back on the boat and to grab a handrail, this time not joking at all. We skirt over the shallows by about a foot and a half (the captain, my father, was anxiously watching the depth gauge) and enter the reassuringly wide open Sea of Abaco. But even in the middle of this “sea,” about a mile from the nearest shore, the depth reading stubbornly hovers around 12.5 feet. Under a high sun, the water glows a gorgeous aquamarine. To sailors, that blue-green means shallow water, and shallow water means danger. Our knowledge of the Bahamian Abaco Islands was as shallow as their waters when my father; his girlfriend, Elena; my brother Mark; and I chose them as the destination for a week-long sailing trip. 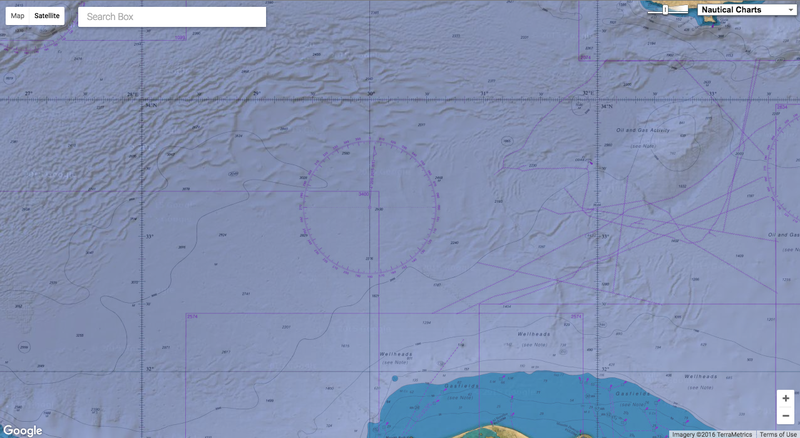 On a map (but not a nautical chart), the Abacos look like the sailing equivalent of a bunny slope. The main island, Great Abaco, and its neighboring arc of cays are separated by only a few miles, short hops compared with the long inter-island crossings we’d made during our previous three bareboat (that is, without a hired captain or crew) charters in the Caribbean. The only time I’d visited the Bahamas before was a quick getaway to touristy Nassau, so I was eager to explore the natural beauty and culture of some far-flung Bahamian “out islands.” I also figured the quick and easy pinballing between harbors would leave me plenty of time to check two Bahamian attractions off my bucket list: swimming in a submerged sinkhole called a “blue hole” and eating conch I dove for myself. However, during our pre-sail briefing, when the charter company staffer started talking about the tide — a nonissue in lower latitudes — and something called a “rage sea,” we realized we were in for some actual sailing. Instead of carefree pinball bounces, our first two entrances into harbors were more like precise and well-timed billiard shots. On the first day, we had to hustle to Man-O-War Cay’s narrow, side-pocket inlet because both the tide and sun were going down. Even after we secured the boat to a mooring ball, Dad looked as if his nerves had been cranked by a sailing winch. The tension began to ease at our next stop, Hope Town on Elbow Cay. Looking down the stairs in Elbow Reef Lighthouse in Hope Town, Elbow Cay. We docked our boat in the reassuring shadow of the islet’s red-and-white lighthouse, then promptly dinghied toward the nearest beach. Viewed from the sandy Atlantic shore, the turquoise water no longer caused worry, but beckoned. We dove between miniature canyons of coral, watched a rainbow of parrot fish chomp away at the reef and happily cavorted in the light surf. Conchs litter Elbow Cay, but unfortunately for my goal of personally harvesting some, the ones I saw were on land, decorating the fringes of people’s yards in charming, tidy rows. Our walk past Hope Town’s cheery pastel homes led us to Cap’n Jack’s, a harborside bar/restaurant with a dock/patio out back. When I overheard a server’s strong New England accent, I asked him about his experiences as an expat in the Abacos. “I’m actually from Nassau,” he politely explained. “But people always guess Boston or New Hampshire.” I later learned that many northern Loyalists and freed blacks fled to the Bahamas after the Revolutionary War, settling in Nassau and, in particular, the Abacos. The settlers hoped to start farms on the Abacos, but that didn’t pan out because of the thin, sandy soil. In the 19th century, a curious local industry emerged that took advantage of an abundant natural resource: dangers to boats. “Wrecking,” or the salvage of ships that crashed onto the Abacos’ 100-mile-long barrier reef, flourished until about 1870. That was a few years after the candy-cane lighthouse near our boat was built under orders from London. According to “Abaco: The History of an Out Island and Its Cays,” by Steve Dodge, locals sabotaged its construction, rightly worried that it would scuttle the business. From the deck of our boat, we watched the light flash five times every 15 seconds, just as it has every night since an upgrade 80 years ago. In the morning, we climbed its 101 stairs and checked out the impressive brass inner workings. It’s powered like a giant grandfather clock — a keeper winds the weights every two hours. We can attest that it’s a well-oiled machine: The cables and gears glistened in the sun, and a large bottle of 3-in-One Oil sat at the ready. We were eager to power our boat in a similarly old-fashioned way. We hadn’t caught the wind in our sails yet because our cautious navigation had obliged us to rely on the motors. So we reentered the windy Sea of Abaco to find out whether we still knew the ropes, or “lines,” in proper sailing-speak. We turned into the breeze, raised the main sail, eased out the boom’s line and then unfurled the forward sail, the genoa. With a little cranking on the winch to trim our sails, we were moving at a respectable clip of eight knots. “So we’re doing a broad run,” I said confidently, referring to our boat’s angle on the wind. “No, son,” Dad sighed with exaggerated resignation. “This is a broad reach. Buoyed by our growing confidence that we could handle the waters, we ticked almost all of the planned destinations off our itinerary. At Treasure Cay, we traipsed the three-mile picture-postcard crescent beach, and I took command of a hammock slung between two palm trees. After finding placid swells in the Whale Cay Passage instead of much-dreaded rage seas, we merrily fed table scraps to the feral pigs of No Name Cay. During our ramble across Green Turtle Cay by golf cart, we watched a firetruck-led parade come together in honor of the victorious youth football team. And on Great Guana Cay, we joined the rollicking Sunday afternoon party at Nipper’s beachside bar. The view across Hope Town harbor. The Elbow Reef Lighthouse is approximately 153 years old. A mild storm closed the Whale Cay Passage and set us back. With only one more day until we had to return to base, the blue holes down south were out of reach. That left just conch foraging on my personal to-do list. We tied off in Hope Town Harbour, and then Mark and I tossed our snorkel gear in the dinghy and sped out along the shore. In the water was plenty of life — a silver school of spade-like palometa, a couple skittish hawksbill turtles — but every conch I flipped was a pale empty shell. I turned it over and saw bright orange, pink and, much to my relief, two freaky eyestalks. On the way home, I spotted another big one in the seagrass and snagged it. Back aboard, I quickly realized that finding the conch is the easy part. I wasted half an hour hammering holes in the shells using a mini anchor, hoping to find the right spot to free the big resident snails. Either out of mercy or a desire to end the loud banging, a woman dinghied over from her boat and gave me some pointers. I finally removed and cleaned the white meat, Elena marinated it in lemon and garlic, and Dad fired up the grill. I gave Mark a tasty-looking strip. “Barf!” he declared before tossing it into the harbor. He was right; it tasted about as bad as you’d expect a snail found on the bottom of the sea to taste. But the check on the bucket list was sweet. A gray whale. A new paper from WCS (Wildlife Conservation Society), in partnership with researchers and practitioners from National Oceanic and Atmospheric Administration, U.S. Coast Guard, Space Quest, Google, and SkyTruth, reviews the use of a maritime vessel communication and navigational safety system that is not only effective in protecting people, but wildlife such as whales, walruses, and other wildlife species as well. With improvements, say the authors, the system will ultimately result in greater engagement by vessel companies and operators in the conservation of marine resources. A new paper from WCS (Wildlife Conservation Society), in partnership with researchers and practitioners from National Oceanic and Atmospheric Administration, U.S. Coast Guard, Space Quest, Google, and SkyTruth, reviews the use of a maritime vessel communication and navigational safety system that is not only effective in protecting people, but wildlife such as whales, walruses, and other wildlife species as well. The Automatic Identification System—adopted by the International Maritime Organization in 2000 for use in collision avoidance, coastal surveillance, and traffic management— effectively accomplishes navigational safety goals, and provides pre-emptive maritime safety benefits. 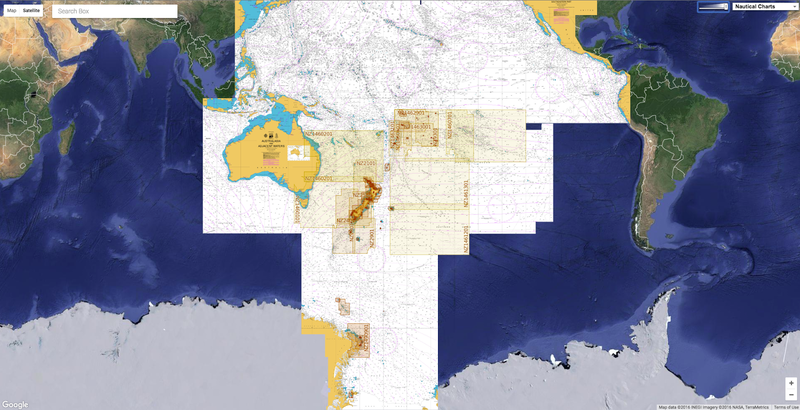 "AIS now provides a rich source of data to understand vessel traffic across the entire globe - even in the most remote areas of the open ocean," said Dr. Martin Robards, Director of WCS's Beringia Program. "This system also has the potential to help us minimize the negative effects of shipping on wildlife." "The AIS can become a vital tool in helping to protect whale and other marine mammal species, particularly in locations such as the Arctic where shipping is potentially on the increase," said Dr. Howard Rosenbaum, Director of WCS's Ocean Giants Program. "AIS can be used to identify regions where shipping lanes and important marine mammal habitats and migrations overlap, as well as areas where ocean noise may be impacting acoustically sensitive species." (A) Vessel density on the Dutch coast based on AIS data and attributes of vessel be- havior (reproduced from Willems et al. 2009 and used with permission). Trajectories are for a week covering 160,000 km2. The anchor zone and yielding ferry inserts are renderings of a day. (B) Vessel density of a stormy day: northwest wind with force 8 on the Beaufort scale change the movement patterns of vessels entering and leaving Rotterdam. (C) Vessel density of areas where vessels sail <3 kt during calm weather can be overlaid on shipping lanes to show areas of potential risk. Understanding vessel traffic in relation to marine conservation is critical, particularly given that maritime transport accounts for approximately 90 percent of all world trade. The continued development of maritime transportation around the world, especially in new areas such as the Arctic, can increase conservation impacts to wildlife, including disturbance, fatal strikes, introduction of pathogens through ballast water, habitat destruction through anchoring (especially on corals), introduction of invasive species, air emis¬sions, noise, and fuel spills. AIS works by continuously transmitting messages containing details such as vessel identification, position, heading and other data to networks of receivers that track the information. Increasingly, satellites are involved in receiving this signals on little cube satellites. While little bigger than a bread box, these receivers can process up to 4 million messages a day and track up to 130,000 vessels at one time. 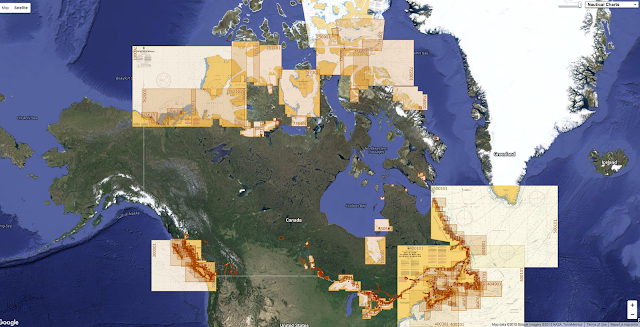 AIS data have important applications in conservation science including describing baseline vessel use of a maritime area, assessing or modeling actual or potential environmental impacts, and monitoring environmental compliance. The authors cite the example of using AIS to establish areas where large cetaceans and vessels are likely to over¬lap in space and time—a critical step to understanding and reducing vessel strikes. Using tagged whales off the Panama Canal, researchers demonstrated significant overlap between whales and vessels, and offered a preferred shipping route and vessel speed recommendations—similar to the well known example of North Atlantic right whale vessel conflict avoidance at the entrance to Boston Harbor. Figure 1. Top: Seasonality of bulk carrier vessel traffic in the Aleutian Archipelago, Bering, and Chukchi Seas. Summer (July) traffic sees less traffic in the central Aleutian arc and greater travel into the Chukchi Sea (primarily here to the Red Dog mine). Bottom: Seasonality (January and July) of fishing vessel activity in the Aleutian Archipelago, Bering, and Chukchi seas. Also referenced is underwater noise that can cause adverse effects to marine organisms. AIS provides a tool for helping understand underwater soundscapes and identifying sources of acoustic noises that can be linked to decreased fisheries catches or disruptions to marine mammal behaviors and migrations. But, say the authors, AIS's full potential as a conservation tool is yet to be tapped. The system could be greatly enhanced by modifications that allow for more consistent and reliable data. Map of global ship traffic based on AIS signals detected from orbit. Commercial vessels are mandated to transmit Automatic Identification System (AIS) signals, which are used to track maritime traffic – the oceangoing equivalent of air traffic control. The system relies on VHF radio signals with a horizontal range of just 40 nautical miles (74 km), useful within coastal zones and on a ship-to-ship basis, but leaving open ocean traffic largely uncovered. However, in 2010 ESA fitted an experimental antenna to Europe’s Columbus module of the International Space Station, demonstrating for the first time that AIS signals could also be detected from up in orbit, opening up the prospect of global ship tracking from space. "Effectively conserving our vast oceans will require technological leaps and cross-sectoral collaboration. This important review articulates the potential promise of both in the use of big data from vessel tracking systems such as AIS as well as local applications for critical habitat and threatened species," said Dr. Caleb McClennen, Executive Director of WCS's Marine Conservation Program. "As increased ship traffic begins to congest an increasingly ice free Arctic, the conservation sector must capitalize on tools such as these to protect its currently pristine seas." Fortunately, there are some exciting examples of progress, in Alaska for example, a Cooperative Research and Development Agreement between the Marine Exchange of Alaska and the Coast Guard R&D Center is leading to the use of AIS transmitters to develop the Next Generation Arctic Navigational Safety Information System. To date environmental information and virtual aids to navigation have been transmitted via several of the Alaska AIS network. "Conservation science and policy applications of the marine vessel automatic identification system (AIS)—a review," appears in the online edition of the Bulletin of Marine Science. Authors include MD Robards of WCS, GK Silber and JD Adams of Office of Protected Resources - NOAA Fisheries, J Arroyo of U.S. Coast Guard, D Lorenzini of Space Quest, K Schwehr of Google, and J Amos of SkyTruth. An illustration of ship movements across the globe in 2015. Scientists used a technology known as “Automatic Identification System,” which collects data from transponders that broadcast a vessel's location and identity every few seconds or minutes. Nearly all large ocean-going vessels are required to carry the equipment. With new marine protected areas and an emerging U.N. treaty, global ocean conservation efforts are on the verge of a major advance. But to enforce these ambitious initiatives, new satellite-based technologies and newly available online data must be harnessed. Photo: Global Fishing Watch Over the past century, rampant overfishing, severe pollution, and runaway coastal development have taken a huge toll on the world’s oceans. Now, however, two major advances in global ocean governance are quietly unfolding, offering hope that the early decades of the 21st century will mark a turning point in which humanity can begin to repair the global seas. Yet a key question remains: Will the new availability of sophisticated, satellite-based technologies, coupled with the democratization of online data about the health of our environment, help ensure that these positive advancements live up to their potential to protect the oceans? The first encouraging policy development is the explosive movement by countries around the world to set up massive marine protected areas of unprecedented size. The biggest of these newly proposed mega-marine protected areas, the Pitcairn Islands Marine Reserve, is three-and-a-half times larger than the United Kingdom, and more than 100,000 times larger than the historical median size for an ocean protected area. The 19 mega-marine protected areas created or announced in the last six years would comprise an area larger than all the protected ocean areas created previously. Several huge marine reserves currently being considered would add an additional 775,000 square miles of ocean protection. The second key development is that the United Nations is now drawing up a treaty that would, for the first time, manage biodiversity across the high seas — the region outside the 200-mile exclusive economic zones of individual nations. The forthcoming United Nations high seas treaty would be setting new rules for a swath of the ocean 22 times larger than the United States. These new regulations are focused on preserving marine biodiversity, establishing international ocean reserves, evaluating processes for sharing marine genetic resources, and effectively carrying out environmental impact assessments. A visualization of fishing activity across the global oceans during 2012-2013 using satellite tracking technology. The map is a synthesis of more than 3 billion data points on vessel movements. These bold new policies suggest that decision-makers are finally committed to taking the kind of aggressive actions needed to stay a step ahead of industrialization in the oceans — something we failed to do when industrialization occurred on land. This issue extends well beyond industrial-scale fishing. Recent innovation and technological development have now made it possible to take the industries of farming, mining, power generation, and even data center management underwater. The scope and significance of this mass acceleration of new uses of the ocean cannot be overstated. In 2014, for example, the world began eating more fish from farms than from the wild — a marine reprise of our historic shift on land from hunting wild food to farming. Mining claims have already been staked to roughly 400,000 square miles of deep-sea ecosystems. The campaigns to vastly expand marine protected areas and significantly improve international governance of the oceans are extremely exciting. But both of these important policy movements have an Achilles heel: Laws only matter if you can ensure that people actually follow them. These new policies cover such vast areas that they render boat, plane, and other traditional forms of ocean observation as obsolete as sextants. In the absence of systems to watch their boundaries, large marine protected areas will be nothing more than huge paper parks. Likewise, our efforts to control the exploitation of high-seas biodiversity via the new U.N. treaty will only be effective if we aren’t blind to what is happening in this large and distant part of the ocean. But just as technological innovation is fueling a rapid acceleration of development in the ocean, high-tech solutions may also hold the key to ensuring that a marine industrial revolution advances responsibly and intelligently. These advances, when put in the hands not just of governments but also of researchers, citizen-scientists and environmental groups, promise a new era in which we can actively observe and responsibly plan out what’s going on in the world’s seas. A vital solution lies in the use of satellite-interfacing sensors and data processing tools that are beginning to allow us to watch how ships use the oceans as easily as we track Uber taxis cruising around a city. Like airplanes, more and more ships now carry sensors that publicly transmit their position so they don’t crash into each other. We can make use of these same streams of safety data to detect where industrial fishing is concentrated, to watch as seabed mining exploration begins, and to observe how cargo ships overlap with whale migration pathways. Seaweed aquaculture emerging in the Taiwan Strait. Over a two-month period, an enormous new crop of seaweed aquaculture emerges off the shores of Yangshu Island in the Taiwan Strait. The images were taken as part of the Planet Lab project, which is snapping high-resolution images of the earth every day to track ecosystem changes and development. Instead of the oceans being a black hole of data, our new challenge is figuring out ways to intelligently and efficiently sift through the billions of data points now pouring in. Fortunately, smart new algorithms can help pick out specific kinds of vessel behavior from this sea of big data. Ships leave unique behavioral fingerprints. For example, purse seine fishing boats make circles around fish schools when setting their nets, while long-line fishing boats travel linearly up and back along the gear they set. In a recent report in the journal Science, colleagues at the non-profit Global Fishing Watch and I monitored progress as the nation of Kiribati closed a section of its ocean the size of California to fishing. After six months of observation, we happily saw that all vessels, save one, left to fish elsewhere. Our group also mapped out the activity of purse seine fishing boats on the high seas of the Pacific — generating the first publicly accessible view of where fishing activity occurs in the very region that the UN high seas convention may consider setting up international protected areas. A key question ahead is whether governments will realize the value of this new data and act on calls from the scientific community to require that more vessels carry these observation sensors and use them properly. We estimate that approximately 70 percent of all large fishing vessels worldwide are already equipped with these publicly accessible tracking systems. Some captains, unfortunately, misuse the tool by turning it off after leaving port or failing to enter proper vessel identification information into the system. All such noncompliance issues are readily detectable by big data processing. Satellite technology is allowing scientists to track an individual ship's movements from above to ensure vessels are staying out of protected waters. Orbiting in space alongside these ship-tracking satellites is another rapidly growing fleet of nanosatellites that constantly take high-resolution pictures of the earth. This technology promises to be an important additional piece in the ocean-observation puzzle. The goal of the groups tending to these flocks of tiny electronic eyes is to be able to take a high-resolution snapshot of the entire earth, every day. These new imaging satellites may soon allow marine ecologists, ocean conservation groups, and marine park managers to begin to search in near real-time for ships in protected areas, to monitor weekly (even daily) losses of coastal mangrove forests, and to document abuses to coral reefs, such as dredging. Not all next-generation ocean observation has to be based in outer space. An exciting array of new marine-monitoring technologies is increasingly available that also could be useful. Aerial drones are beginning to be used to patrol coastal waters. Fleets of drone ships may follow suit and could help monitor both the health of ocean resources, as well as the behavior of those that harvest them. Shore- and aircraft-based radar and acoustic recorders that listen for boat noise could also be deployed. Essential to effectively monitoring and controlling the industrialization of the oceans is democratization of this new ocean-observation data. Good intelligence on what was happening at sea used to only be the purview of vessel captains. Now, anyone can keep tabs on the most remote parts of the ocean on their phones. Global Fishing Watch, for example, is releasing a product this year that will let anyone view and interact with data on fishing from across the global oceans for free. Planet Labs, a startup that manages the largest constellation of earth-observing nanosatellites, recently released a constantly updated, free library of imagery for all of California – including its estuaries, bays, kelp forests, and nearshore waters. The challenge ahead, as we enter this new era of improved ocean stewardship and attempt to govern increasingly bigger regions of the ocean, is to ensure that our new policies are actually enforced. The stakes here are high. We have to make these emerging protected areas and treaties work, and we must do it soon, if we intend to help the oceans continue to dish out large helpings of food, energy, and wonder. The video is a glimpse of the ethereal world inhabited by these ocean behemoths. The seemingly mundane life of the behemoth container ship is far more beautiful than one might think. The above time lapse video follows one such ship on a day's journey as it navigates through sea and port. In this otherworldly life on the sea, the skies are deceptive: what looks like a sunrise sparkling in the distance turns out to be the bright lights of a port that the ship pulls into. Even the skies and sea do not look of this earth, and seem to belong to some other planet in a strange galaxy. Some particularly wondrous moments that the container ship bears witness to on this journey are lightning strikes, a sea "highway" made of red and green buoys, and a game of container Tetris.